The SL-315 produces an outstanding full-range response with deep bass, natural midrange and detailed highs. It is ideal for venues where a wide coverage angle, extremely high output and absolute sonic accuracy is required. 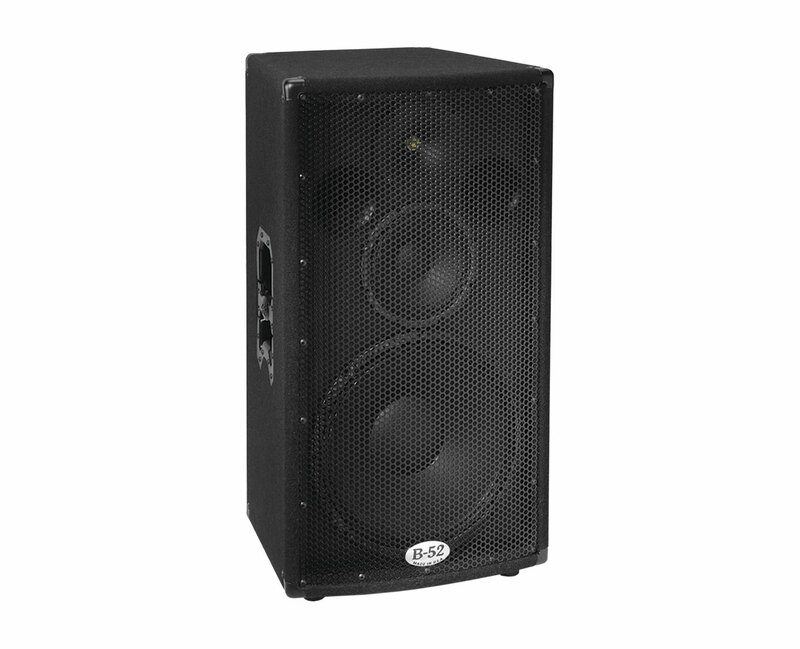 The SL-315 utilizes a B-52 15-120 loudspeaker with a 3” polyamide voice coil, an 8” midrange housed in a dampened and sealed sub-enclosure and a 1” exit PETP film diaphragm compression driver. B-52’s enhanced-grip metal handles are the ultimate solution for carrying your B-52 loudspeakers. Constructed of bullet-proof stamped steel with a pressure-sensitive rubber backed grip, these handles are specially designed to fit in the palm of your hand. B-52’s new waveguides are a perfect complement to the COMP-4 compression driver. The coverageis uniform over more than 3 octaves and the overall response is smooth and extended. The asymmetrical shape allows close physical coupling to the woofer and a slight tilt of the sound down to listening level. All SL-Series full-range systems utilize the COMP-4 1” exit pure titanium compression driver. The COMP-4 provides smooth mids and extended high-frequency reproduction.